When you have job openings for permanent employees, your temporary employees are often your primary source of applicants. The employee who is a contingent worker today may well be a permanent employee tomorrow. Keep reading for an overview of some popular performance review methods. With this method, workers are evaluated by coworkers; usually, everyone reviews everyone else. Having evaluations from multiple viewpoints gives the most complete picture, but unpopular employees may be unfairly evaluated. This type of performance evaluation focuses on specific positive or negative incidents that have occurred since the last review session. Speed is one benefit of this method. One problem is that isolated incidents may not accurately reflect an employee's performance. Most employees particularly dislike this method. Once the evaluations are done, employee performance scores are forced to fit a given distribution, such as 20% Superior, 60% Acceptable, 20% Below Standard. This allows limited bonus and training resources to be distributed to employees who have earned them or will benefit the most from them. 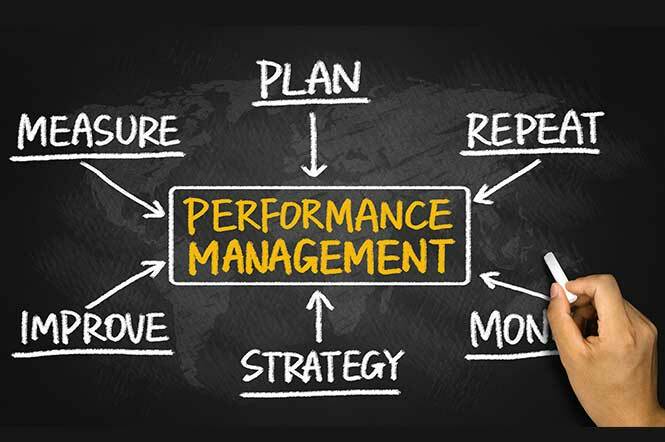 However, the ranking distribution may not be accurate; managers may find themselves forced to rank ordinarily acceptable performance as below standard. This is the easiest method for evaluating groups of employees as one. Employees are evaluated based on accomplishing given objectives; if objectives were met, the group passes. This method is simple, but it is inflexible and does not account for unforeseeable circumstances that may have kept employees from reaching a given objective. This is one of the oldest and most popular methods of performance evaluation. Each employee is evaluated based on his or her compliance to given standards for job performance. A better score is indicated by a longer line. This makes it easy to compare employees at a glance. The drawback is that ambiguous criteria may not be applied consistently. The contingent worker may be transient in your organization, but he or she should still receive a fair and timely evaluation. This benefits both your business and your employees. Choose one of the methods outlined above or some other system. Consult a workforce management solutions firm for advice on performance review or other staffing issues.